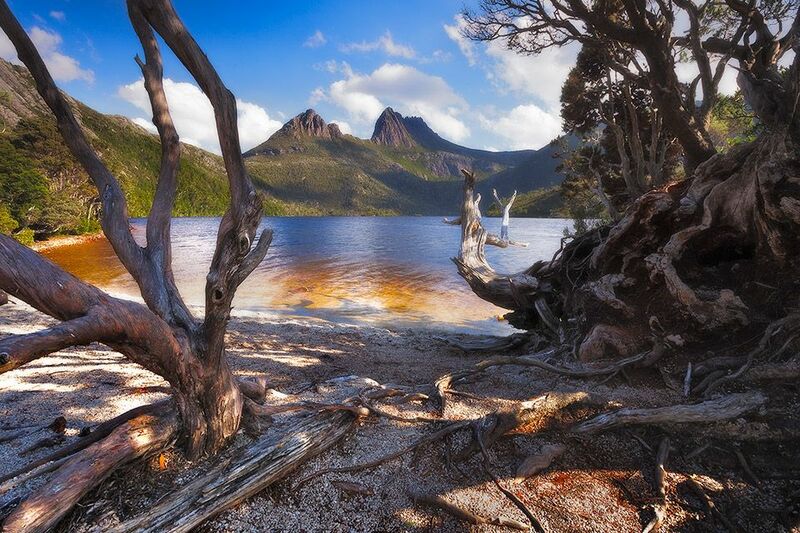 Here’s a shot I took at Cradle Mountain in Tasmania on my first visit a few years ago. This area is one of the most well-known not just for photography, but hiking and general outdoorsy stuff too. And for good reason! It’s simply stunning. I was in the area for 4 nights in total, but the best of the weather happened in the daytime, hence why my best photos of it are daytime photos. At times, you couldn’t even see the mountain from this viewpoint due to fog. So even with the best will in the world, there really wasn’t much to photograph lol. Shooting in the daytime brings its own challenges too. Like how to deal with the extreme contrast between light and shade. I had to bracket a number of exposures and blend them together in photoshop to get this shot, otherwise, either most of the foreground would have been completely black – or the sky would have completely blown out. No matter how good your camera sensor, some scenes are always gonna be too contrasty to effectively capture in one frame! So after importing the bracketed shots into Photoshop as individual layers, I set about blending the “best bits” of each using luminosity masks to form a well-exposed combination. Luminosity masks were critical due to the level of detail in the sections that required masking… Like the branches on the left of the frame and the twigs and leaves on the right. Trying to manually brush around those areas would have left untold numbers of tell-tale blending halos all over the image! In fact, I used this exact image as an example in Chapter 2 of my Luminosity Masking course if you want to see exactly what I mean. There’s a great deal available on it right now too, on this page (click here). P.S. one other thought that just came to mind while writing this… One of the reasons I love exposure blending is because it extends the lifespan of whatever camera you’re using now. For example, I’m still using the same camera I bought 7 years ago, because it doesn’t matter what cameras come onto the market with the latest and greatest sensor, ISO performance, dynamic range etc, because it just comes down to this simple choice: spend thousands on that new super-duper camera to gain maybe 2 extra stops of dynamic range in my shots… Or just bracket another exposure with the camera I’ve already got! Anyway, I’m rambling, this little P.S. wasn’t planned lol. 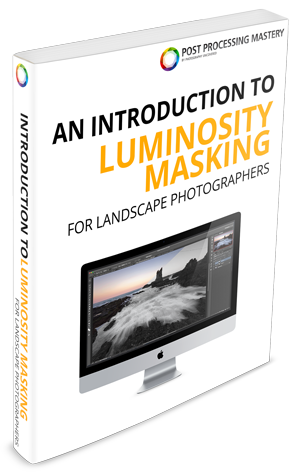 Download the FREE PDF Guide Now so you can instantly see the difference that Luminosity Masking will make to your Landscape photos.